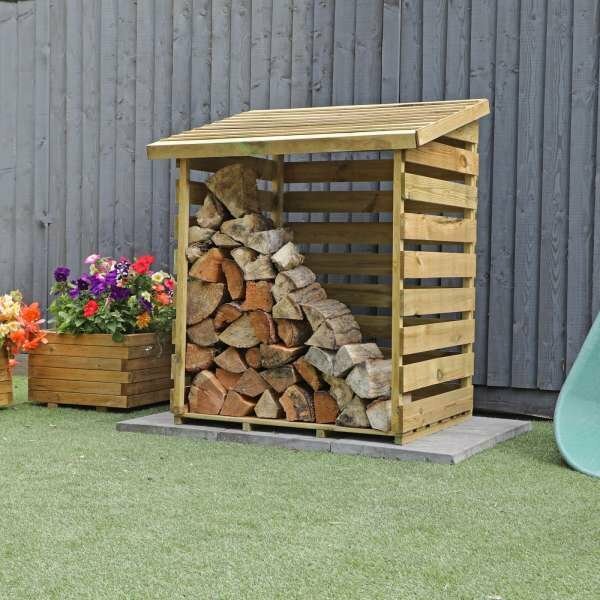 Practical garden storage doesn’t have to be large and overpowering as our compact Wallshed unit demonstrates. 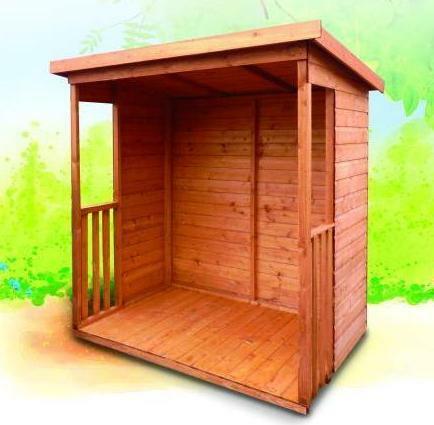 Made from attractive tongue and groove shiplap from top to bottom, it’s ideal for placing against a fence or wall. The planed framing is thicker than average at 45x34mm and the construction is made stronger by the fact that there are no windows. 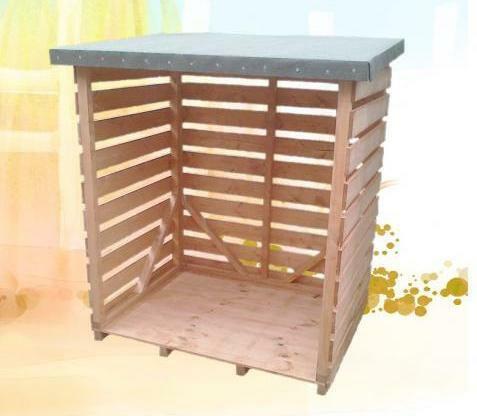 This creates a storage unit which is not just functional but tough and durable and able to withstand all weathers. 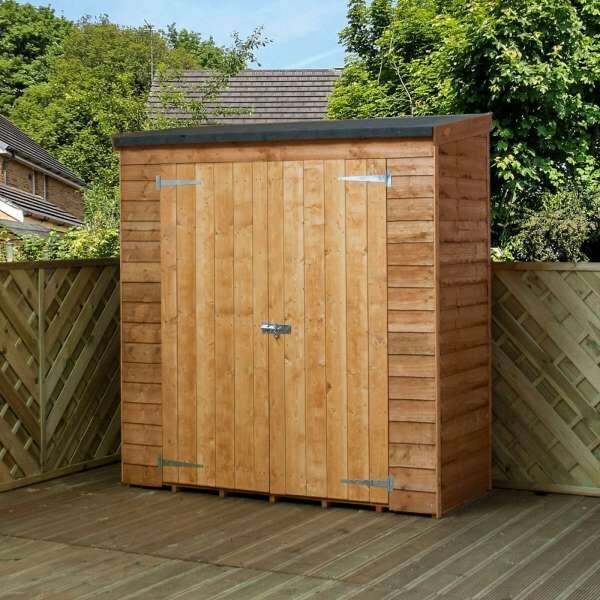 Despite being a more compact size than larger garden sheds or storage areas, there’s a surprisingly generous amount of space inside. 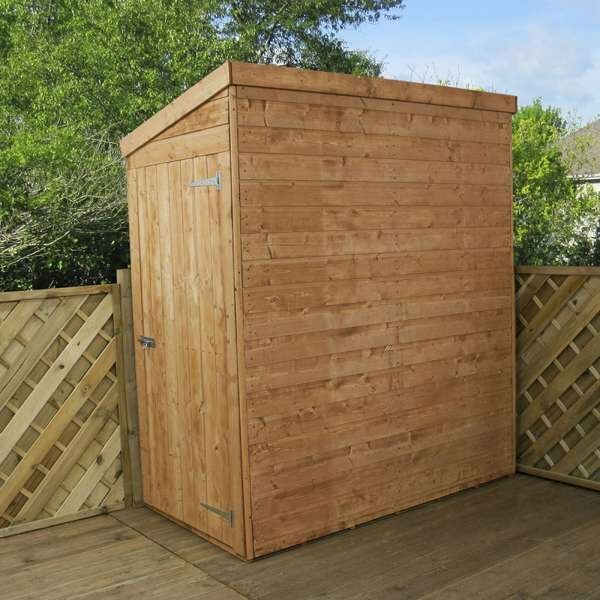 Our Wallsheds are available either with double doors on the longer side, or with a single door on the end, offering you the ultimate in flexibility. 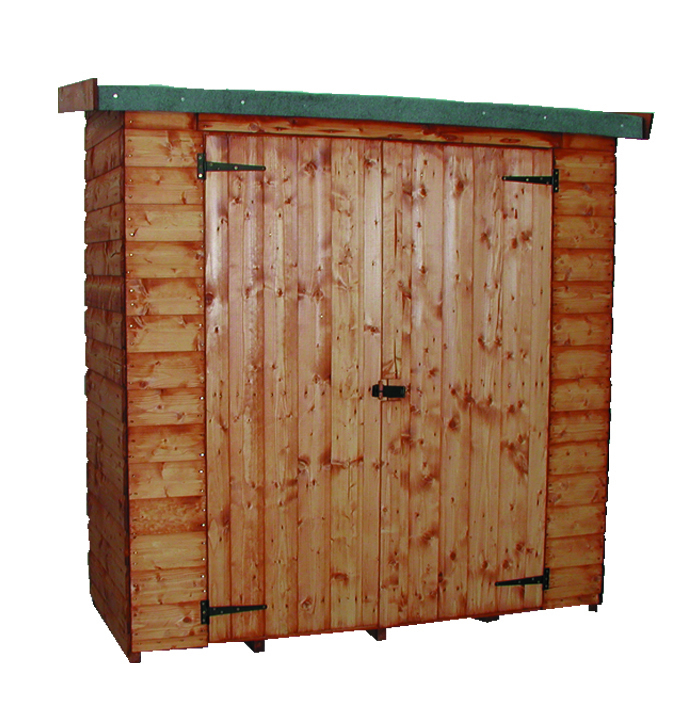 If you expect to store larger items, the double doors provide superior access and manoeuvrability. No more straining your back trying to lug heavy items through a small door! 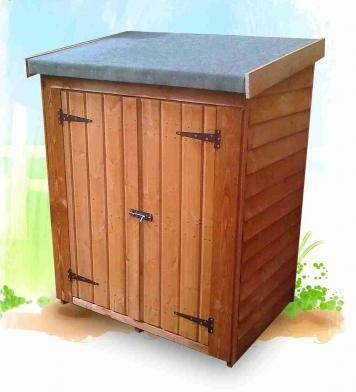 A pent roof provides excellent drainage and weatherproofing, and there’s a pad-bolt to keep everything secure. The doors on the unit are fully framed and come with the storage unit ready hung, making installation even easier. If you need assistance putting the item together we also offer a professional installation service in mainland England and Wales.